Jawa, the historic brand, starts its public journey back into the Indian market today with the release of the first details of the engine that will power their first motorcycle due next month. The Jawa brand, and the British BSA, are owned by Classic Legends, owned by the Mahindra Group. As revealed earlier, Classic Legends has the rights to create, brand and sell Jawa branded motorcycles in India. At this time, Classic Legends will use the BSA brand primarily for international markets and an Indian introduction isn't being discussed at this time. Little is known about the Jawa engine but the release today carries the essential specs. In sum, this is a 27PS, 28Nm single-cylinder engine displacing 293cc with liquid-cooling, fuel injection and a four-valve DOHC valvetrain. Classic Legends chief Ashish Joshi told OVERDRIVE that the engine has a flat torque curve and will prove ultra-reliable. The company believes these two elements are crucial for the new motorcycle to speak to the blend of classic and sporty traits that characterised the Jawas of old. Classic Legends also mentions that the sound tuning has been a special endeavour for the engine. Since the Jawas India has were all two-strokes, creating a BSIV-compliant and BSVI-ready engine that speaks with that voice was essential to the project. And the new engine promises to offer a delightful soundtrack. Classic Legends says that the engine was developed at the Pune facility as well as the Mahindra Racing operation in Varese, Italy. 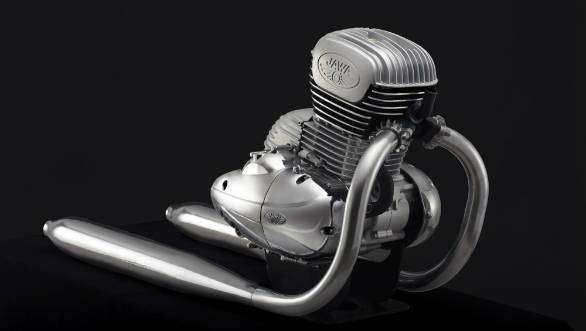 When asked if the engine was based on the Mojo, Joshi reiterated that the engine is new, built specifically for the Jawa application. However, the displacement being exactly the same as the Mojo suggests that while the final Jawa engine shares little or nothing with the Mahindra Mojo's engine, chances are that the engine development started with that engine. That's not a bad thing because the effortless Mojo engine was the highlight of the motorcycle, comparable to or better than most other competitive engines on most counts. The Pune facility, in fact, was a Mahindra Two-Wheelers R&D unit. Joshi says that Classic Legends has taken over the facility and it's working primarily on the Jawa project. He also says that the advanced equipment available in Varese is a huge asset in new motorcycle development. Joshi insisted that we focus on the Jawa for now. 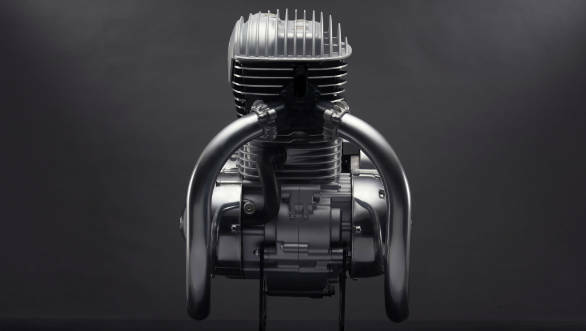 He did mention that whether or not the 293cc engine can be applied to a future BSA is an ongoing discussion since those motorcycles will go to other markets with different requirements. That suggests that while the new Jawa motorcycle is expected next month, a new BSA might be further down the road. Classic Legends has not revealed the final name, we believe that names like the Roadking could be revived, so let's call the new motorcycle the 300 Roadking for now. UPDATE: we have confirmation that the motorcycle will, in fact, be called the Roadking. FURTHER UPDATE: Now we have further confirmation from the company that the people who confirmed the name were wrong and the new motorcycle definitely isn't going to be called the Roadking. Sigh. The motorcycle will obviously feature retro styling. Why is this obvious? Take a look at the styling of the engine. 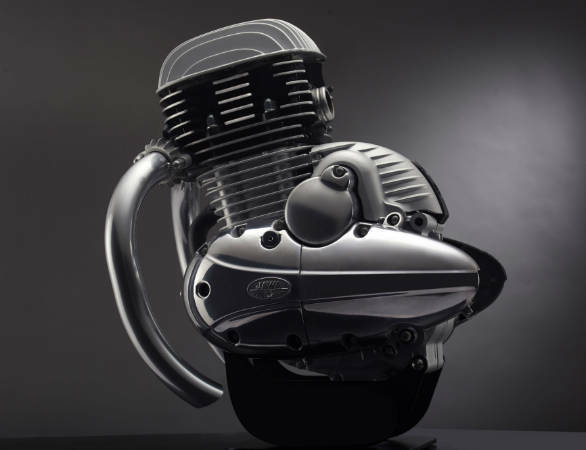 From the vertical fins on top of the cylinder head and the rounded and tapering engine cases, to the sinuous shape of the silencer and the tapered tips, the engine clearly mirrors the lines of the Yezdi/Jawa branded motorcycle we know from Indian motorcycle history. To be specific, check out the Jawa A-Type 250 and you'll see the similarity. You couldn't possibly slot that specific an engine aesthetic into any other kind of motorcycle. We believe the motorcycle and is pricing will arrive at the end of November. Classic Legends has confirmed that the motorcycle will be on sale before 2018 runs out. Classic Legends expects to open its innings with a 100-dealer network. That's a surprisingly large number. Joshi told us that the response to their hunt for dealers has been amazing. Prices? Officially there isn't any comment but a 27PS, 293cc single should fall in the Rs 2.5 to 2.7 lakh ex-showroom price ballpark  we are expecting Jawa to select a slightly premium price rather than a ?2 lakh or similar price point. Joshi also clarified that strategically Jawa is likely to pursue high displacements in the future over a smaller motorcycle, another sign that the new Roadking will be positioned as a premium product. Mahindra's two-wheeler operation has seen some very stormy weather right from inception. The Stallio was in trouble very early on and the response to the Centuro and the Mojo has been mild at best. The acquisition of BSA and the rights to Jawa for India is an interesting way to restart the business. While Mahindra Two-Wheelers always wanted to be a full spectrum two-maker, it's clear that the Classic Legends entity will focus on the growing and opportunity-filled premium segment. Royal Enfield, naturally, dominates sales in this market and their new Interceptor and Continental GT are expected to feature excellent engineering as well as stunning pricing when they launch mid-November. Classic Legends will clearly be compared to the Chennai manufacturer because of the retro-theme for the Jawa 300 Roadking. But back in the day, the Jawa/Yezdi versus Royal Enfield battle was the hot ticket item at the races. Welcome back, Jawa. Let the battle be joined again!